ADELAIDE has been rocked with Charlie Cameron joining Jake Lever in requesting a trade from West Lakes. Cameron is understood to have informed the Crows he wants a trade on Thursday, with the speedster fixed on a move to the Brisbane Lions so he can be closer to family in Queensland. Unlike the out-of-contract Lever, Cameron is contracted with Adelaide for next season, so it is far from certain the Crows will agree to his request. Adelaide officials have consistently said they expect Cameron to fulfill the final year of his contract when asked about the 23-year-old's future recently. It's likely then the Lions will have to pay 'overs' for Cameron to convince the Crows to release him from his contract. If Adelaide agrees to enter discussions with the Lions, it will likely be eyeing one of the Lions' picks at No.12 and No.18 in this year's NAB AFL Draft. The Lions will also likely add No.19 to their draft hand after Tom Rockliff's impending free agency move to Port Adelaide, a selection that could also be in play. Lever has requested a trade to Melbourne, but the Crows have rejected the Demons' initial offer of picks No.10 and 27, determined to hold out for No.10 and the Dees' 2018 first-round selection. 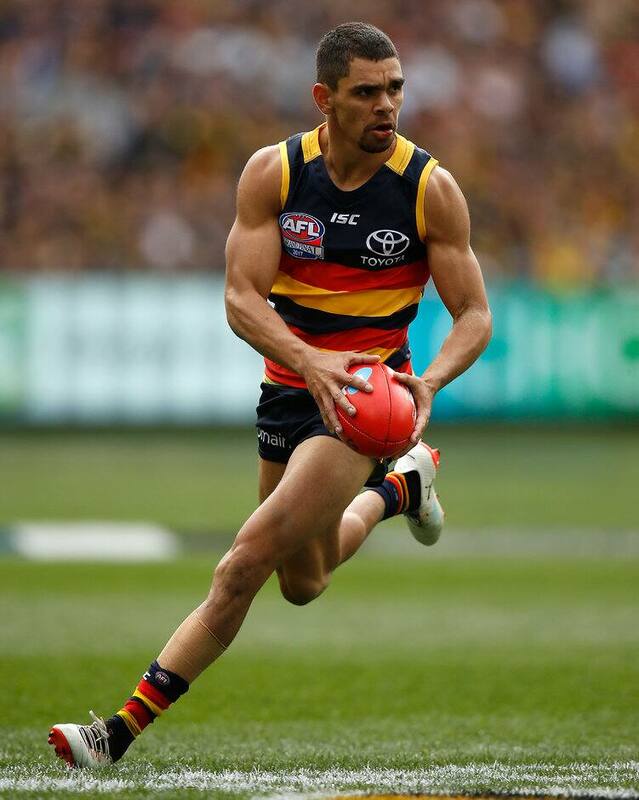 Cameron is a former rookie who has played 73 games for the Crows since debuting in 2014. He finished 10th in the Crows' best and fairest award after a breakthrough 2015 season, when he kicked 29 goals in 22 games. Cameron backed that up with a ninth-place finish last year and missed just one game this season, when he was a key member of the Crows' charge to the Grand Final with another 29-goal season. Cameron has formed an exhilarating combination in attack with fellow Crows small forward Eddie Betts. His blistering pace makes him a dangerous match-up for rival clubs, while his defensive worth ethic and run-down tackling are also outstanding.